Julian Althaus, born 1992 in Cologne, is the Bergwacht-Crew’s youngest member. He started deejaying at the age of 16 when he bought his first digital-midi controller with traktor and started mixing house and techno tunes. At this time he made his first techno party experiences in Cologne, such as Kompakt, Treibstoff, Elektrochemie and Pollerwiesen. The following years, he collected money to get a proper set-up with 2 Technics, started to collect vinyl, improved his mixing skills and played his first little partys. In year 2011/2012, Julian spent seven months in Australia, where he got the chance to meet Gabriel Ananda, who was and still is a big idol for him, on Rainbow Serpent Festival in Victoria. Back in Cologne in the late summer of 2012 he was lucky to meet Horst Koffer and Max Knospe (Tool8) via David Molina, a good friend of him, and joined the K-Kollektiv, a collective of artists located in a private basement venue in the center of Cologne. He enjoyed being in contact with people who shared the same interest, love and excitement for electronic music, and played more and more sets on private partys. Short time after, he got asked to play at the Artheater’s Cafe for the Bergwacht-Party with PHM in March 2013. Things went on quite fast and after another gig in may he was offered to become a Bergwacht resident. A total surprise and honor for him, being a young and, at this point, unexperienced DJ without too many official bookings. With wide spread influences throughout the Techno-genre, Julian Althaus tries to create melodic, moody sets, always combined with rolling danceable warm basses and catchy tech elements. 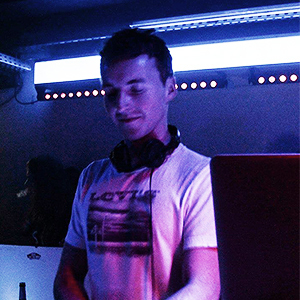 His developement definitely hasn’t come to an end yet and there are many partys to come, where he will convince you of his passion for electronic music.